Gas and Electric heated Hot Tubs - Sale! The Spa Pak™ utilizes the latest Balboa BP 501 heating and electronic control unit as seen at right. The electronic control system of the BP 501 is the same that is used in our Power Pak™. The difference between the Spa Pak™ and the Power Pak™ is that the Power Pak™ is a completely weather proof, outdoor rated system. It is UL also listed as a complete system, as is increasingly required by many local codes. With those exceptions the systems are equivalent. The Spa Pak™ is an economical dollar saving option if you are planning on enclosing your equipment skid and local codes do not require a UL listing on the skid as a complete system. We offer our own enclosure as an option if you aren't planning on building your own. 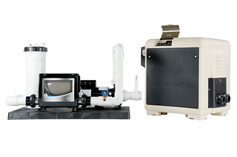 The basic Spa Pak skid includes the BP 501 (control unit and 5.5kW heating element) a pump and filter mounted and pre-plumbed on a skid, as shown at right. The BP 501 has an integral 5.5 kW heating element. 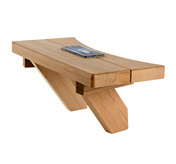 The spaside control is the four function TP 400. The TP400 spaside control (standard) is used to control the heating and filtration cycles of the Spa Pak. An 11kW system is achieved by adding an auxiliary (slave) heating unit which has no control function. Gate valves are included to provide for easy shutoff so you can clean or replace the cartridge filter without draining the hot tub. Pre-assembled, plumbed, wired and mounted on a skid. 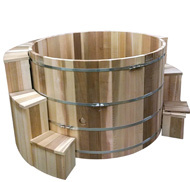 Some hot tub equipment packages are just a collection of components that need to be integrated, mounted on a skid, plumbed, and wired together. Designed to be as far as 20' away from the tub and still provide the proper flow rate to the 4 hydrotherapy jets. More powerful pump upgrades are available as options if longer distances or more jets are desired. WiFi Ready. All that is needed to be able to control your Spa Pak™ from anywhere is to purchase the optional WiFi receiver (shown in Optional Upgrades at bottom of page) and to download the Balboa WiFi app on to your smartphone and you can control your system from anywhere. 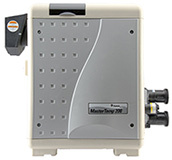 Choice of Pentair MasterTemp 125,000 BTU Natural Gas or Liquid Propane heater or 5kW or 11kW Electric Heat. Completely weatherproof, finest quality components, no extra protection needed. 2 speed, Hi-Flow motor powers 4 hydrotherapy jets easily. 50 sq. ft. cartridge filter. Spa Pak™ components are wired, pre-plumbed & mounted on a skid, ready to install, except for gas heaters, which are free standing, as shown above right. 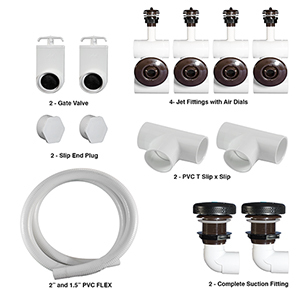 All plumbing, 4 jets each with air controls, 2 suction fittings, valves, flex pipe, etc. for complete hydrotherapy system. Standard controls jets, temperature, lights and additional functions. For lower operating cost it has an economy mode that lets you set a lower maintenance temperature, but within fast heat-up range to normal tubbing temperature. Full luxury features including programmable electronic operation; integrated freeze protection; backlit LCD display for easy day/night viewing. Tapered, R-21 4" insulating vinyl cover to reduce heat loss; lockable for safety. Your choice of colors. Starter chemical kit with instructions and test kit. Tub with stainless steel bands and hardware. no tubbing experience is complete. Add our full spectrum copper, zinc and silver ionizer. It greatly reduces the need for chlorine. The copper and silver ions together have a synergistic effect that make them more effective than just the sum of their individual biocidal capabilities. Wi-Fi module - allows you to control your system with your smart phone from anywhere. 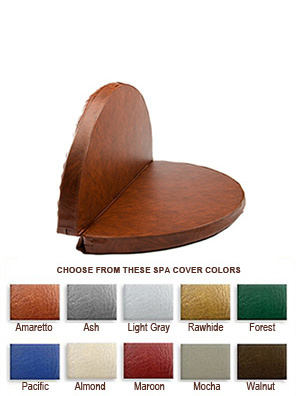 Equipment enclosure - If you aren't going to be building your own enclosure for the Spa Pak™, then our equipment enclosure is the perfect way to protect your equipment. The slanted top is hinged and has to supports to hold the top open while you are accessing the equipment. The enclosure shown is designed to abut our surrounds and is open on that side. A free standing enclosure with full four sides is also available. 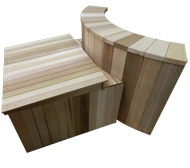 Tub Surround - Our tub surround is a great way to dress up your tub and hide the plumbing and jets. The stepped style of surround also can be used for ingress and egress to the tub. Rim shelf provides convenient storage and place to mount spa side control for free-standing tubs with no adjacent deck. Add a larger pump or an additional pump for more jets or water feature. Choose a more powerful gas heater from 200,000 to 400,000 BTUs. Heats tub faster and more efficiently.